Need some cool new clothes ideas you can make, ones that fit your budget? 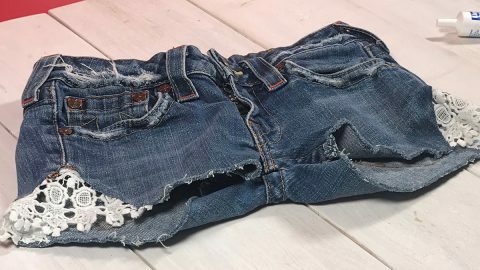 Try making these oh so popular for a reason lace edged cut off shorts with a pair of old jeans. After I saw these several times on Pinterest without a good tutorial, I decided to make some and even record a video of the process. All you need is a piece of lace and my favorite glue for fabric, Liquid Stitch. For a no sew project like this, you are not going to believe the results. Check out the video to see how to make some for yourself. 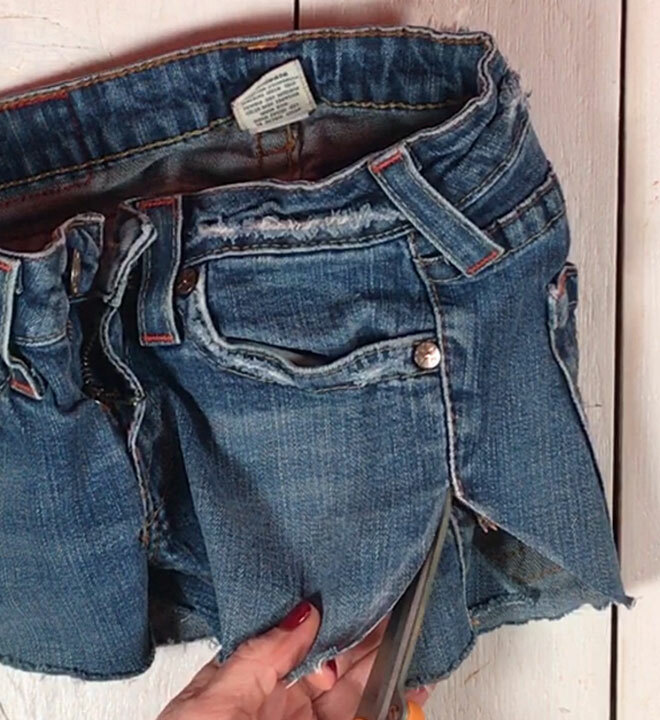 These cute shorts are so easy to make. Just cut your jeans like this. Mark the corners and cut notches of the same size on both sides. 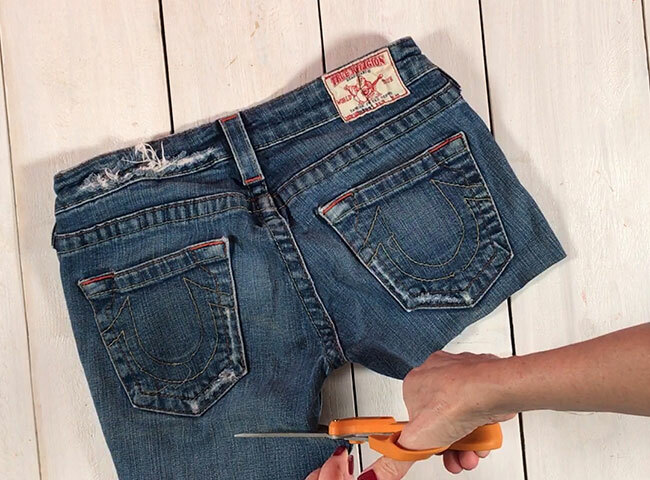 Then add a liberal amount of liquid stitch to the inside of the cut notches in your jeans. Add lace to the inside and press firmly into the fabric glue. We cut lace off of an old shirt, but you can pick some up at the craft store if you don’t have any on hand. 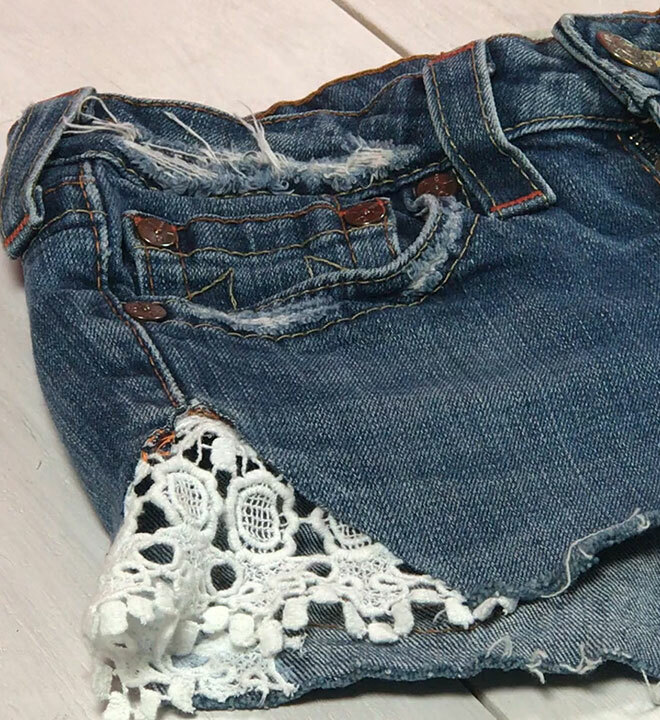 Lots of different kinds of laces could be cute on these DIY jean shorts. Allow to dry and they are ready to wear. Perfect for a day at the pool, the lake or your next music festival outfit idea.